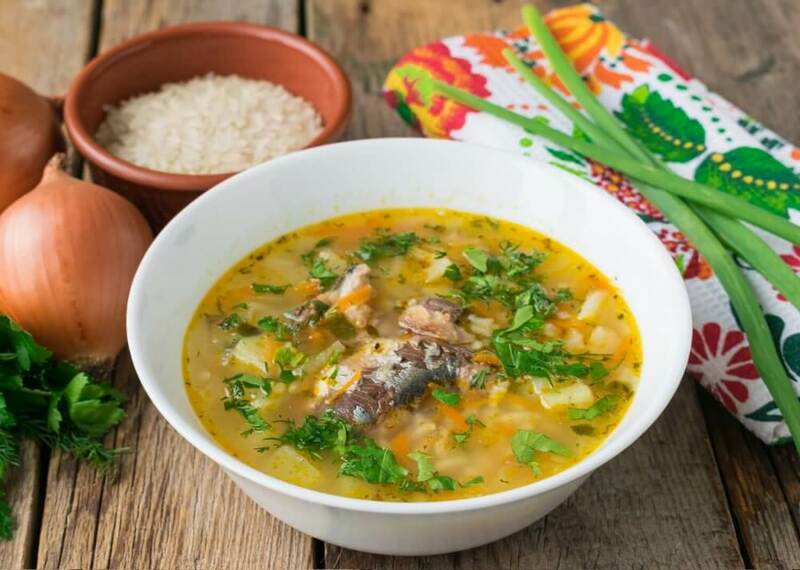 Even whimsical children will like this flavoured canned fish and rice soup. 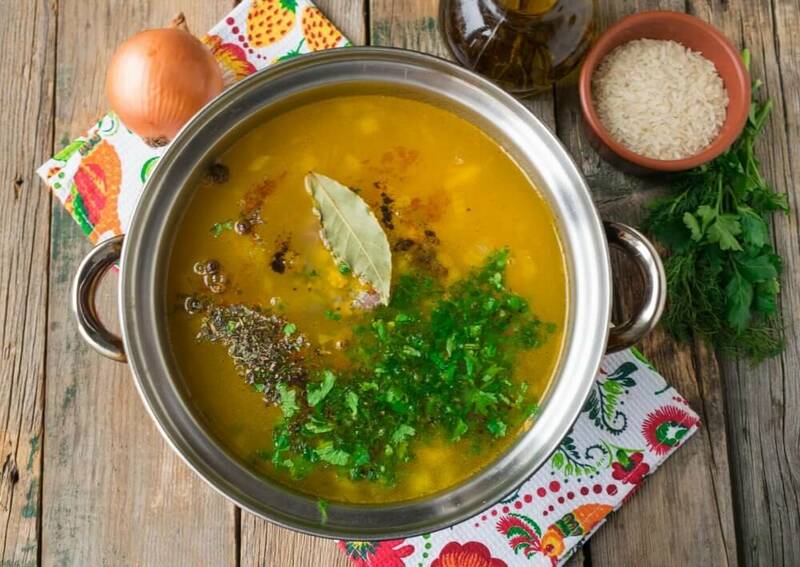 This dish is very tasty and dietetic enough, so it will suit everybody who looks after his body and avoid extra calories. 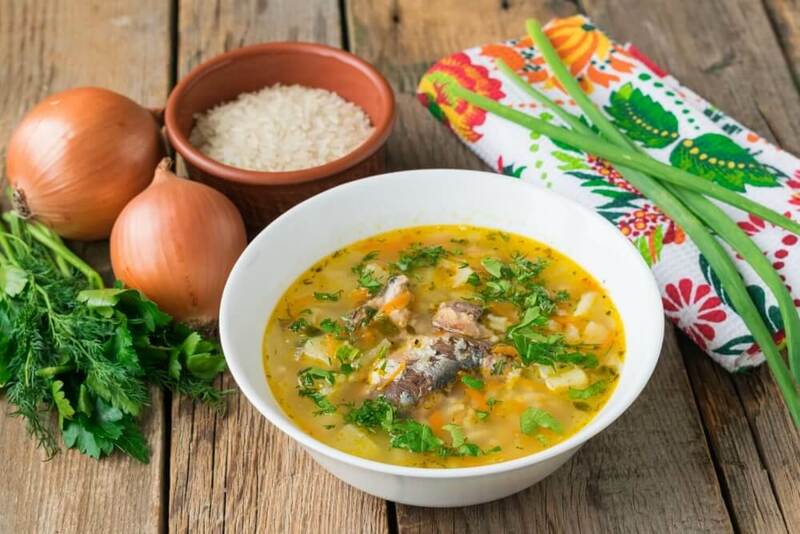 You can take any canned fish in oil: mackerel, sardine or saury. 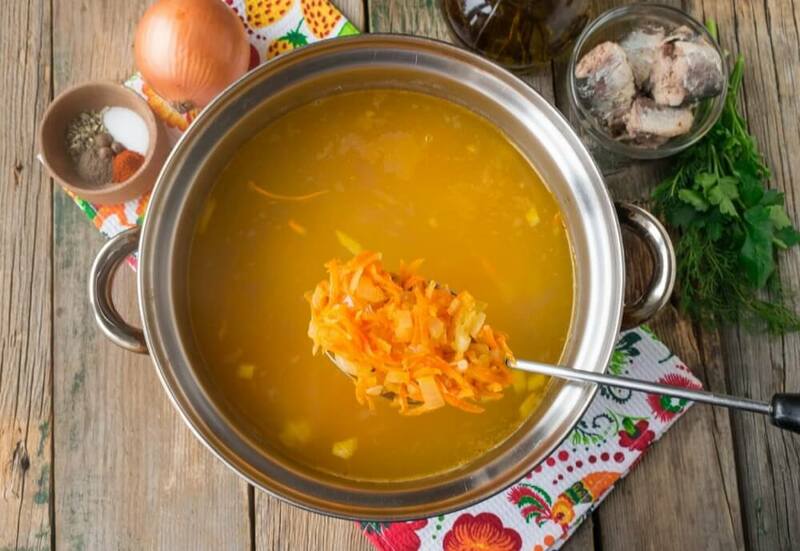 Also, vegetable broth or just cleaned water will be good to use instead of chicken broth, then the soup will be even less caloric. 1. Wash chicken skeleton and pour it over with some cold water. Place it over the fire and bring to boil. Scum the foam with a slotted spoon and cook for 30 minutes. 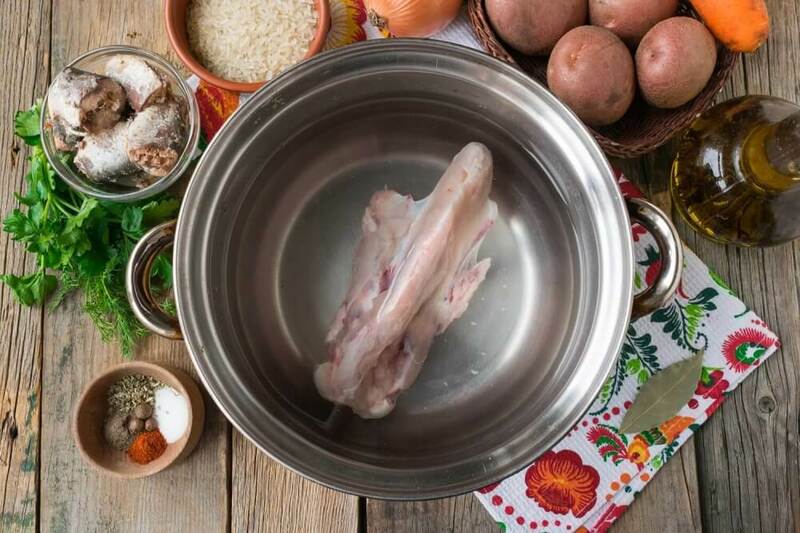 Remove chicken bones from the broth. 2. 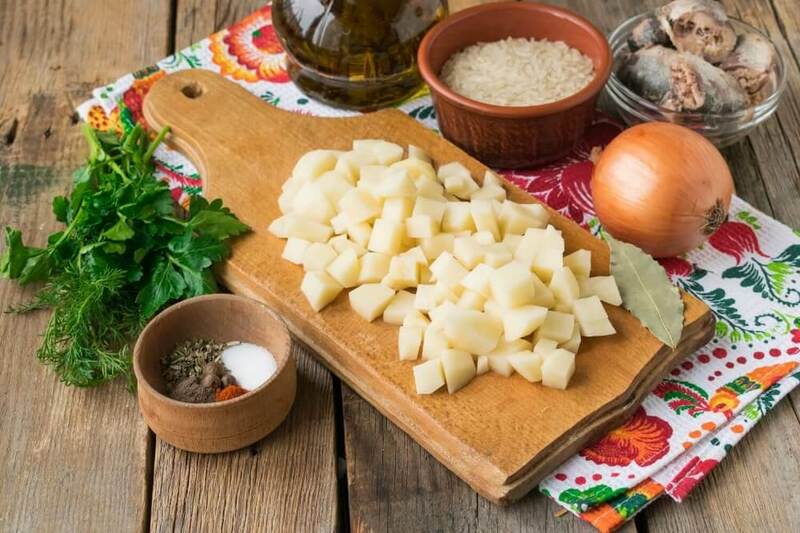 Wash potato, peel it and dice into medium pieces. 3. 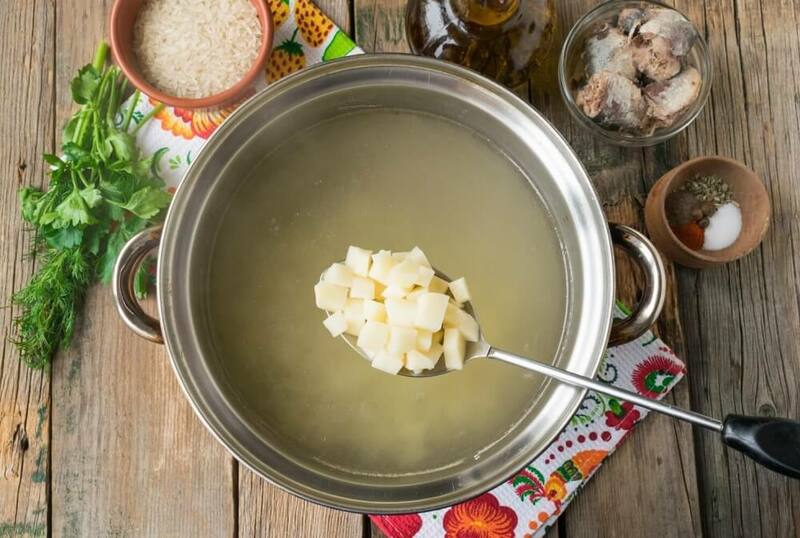 Add dice potato to the done chicken broth. 4. Cook potato until half-cooked. 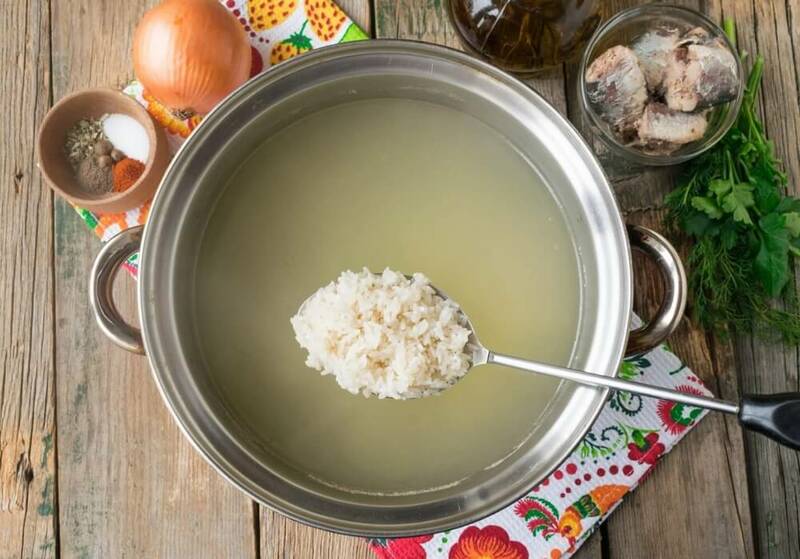 Then add thoroughly washed rice to the soup. 5. Peel carrot and onion and wash them in the running water. 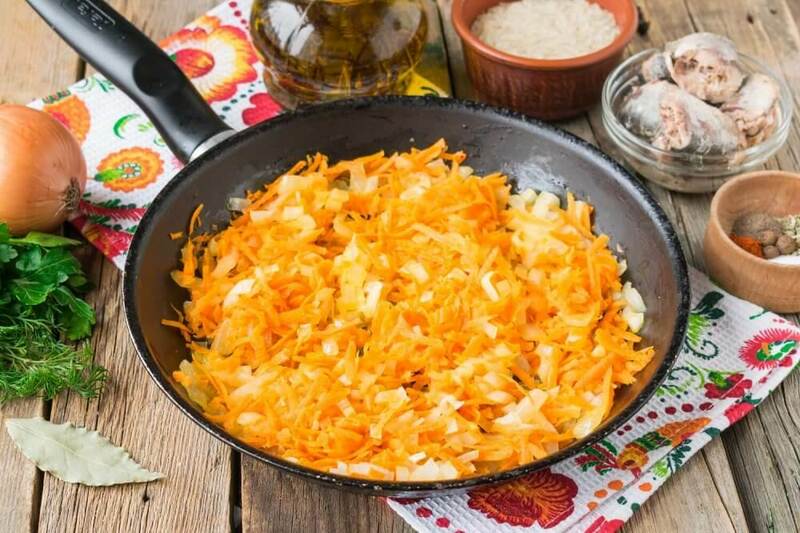 Grate carrot and dice onion. 6. Fry vegetables in the oil until soft. Stir them from time to time to make them brown equally. 7. Then add fried onion and carrot to the soup. 8. Open a can tinned fish. Drain it from the oil and remove big bones from the fish. 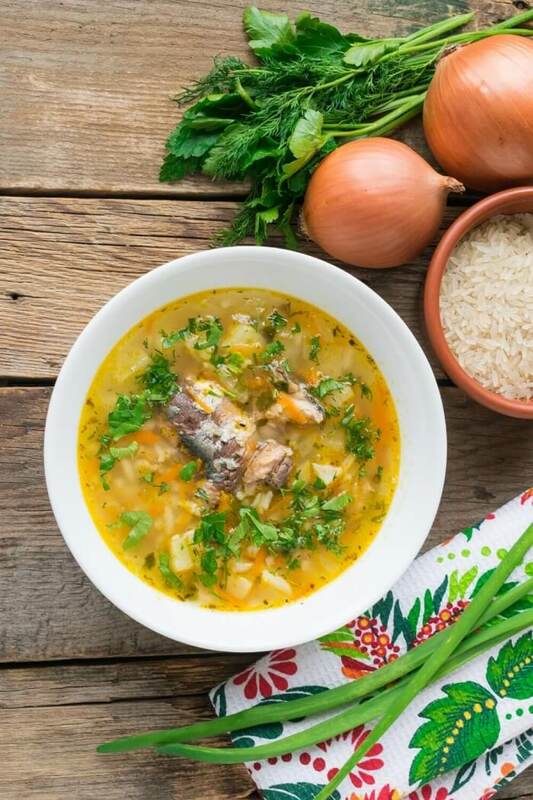 When potato and rice become soft, add canned fish. 9. 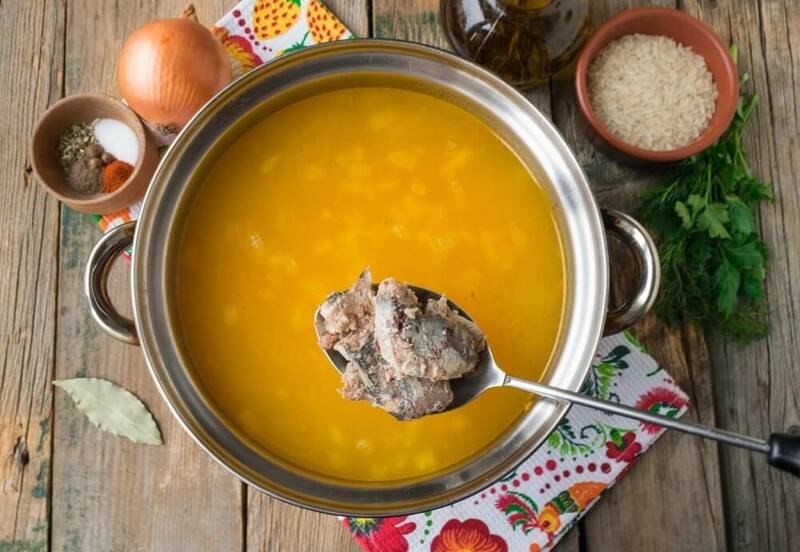 Season the soup with salt and spices. Add bayberry, bay leaf and finely chopped greens to flavour. 10. Boil the soup for a few minutes and remove it from the heat. Serve the dish hot with some slices of fresh bread. 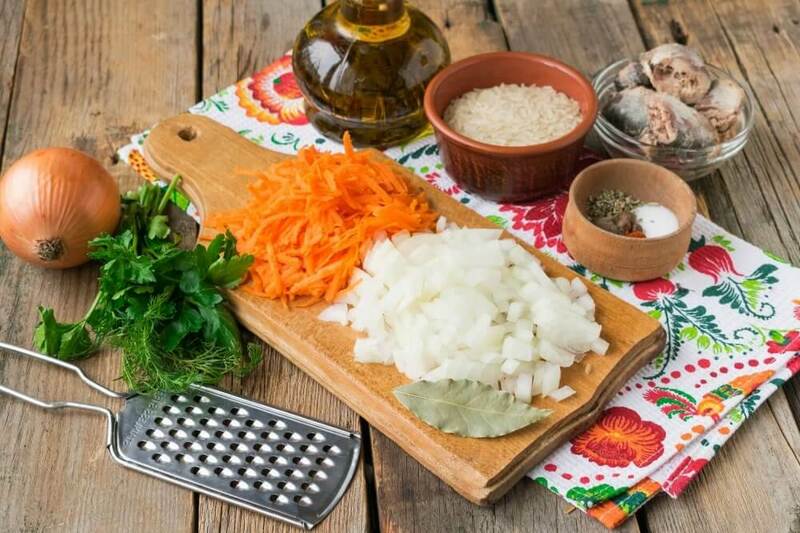 Our recipes will provide inspiration for the home cook.